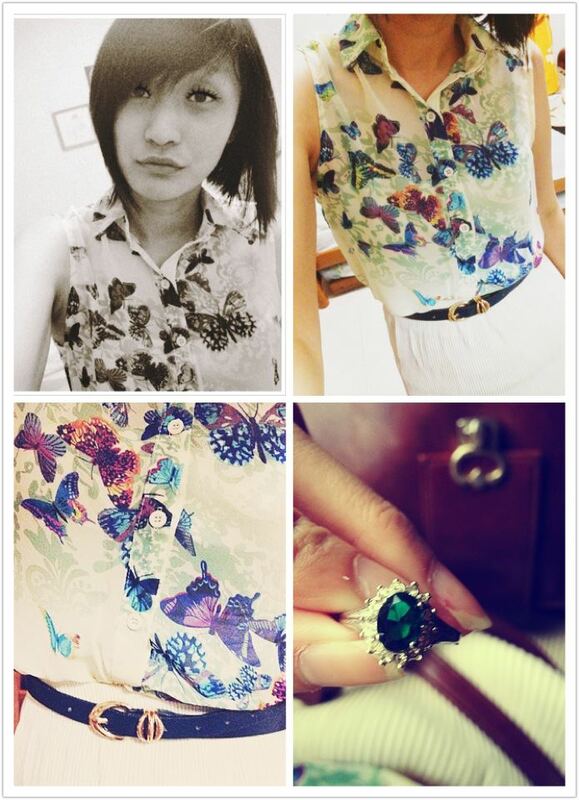 Butterfly top. Another.Vintage turquoise belt.random.white skirt. Ann Siang. My new loot from my KL trip. KL trip photos coming up soon!